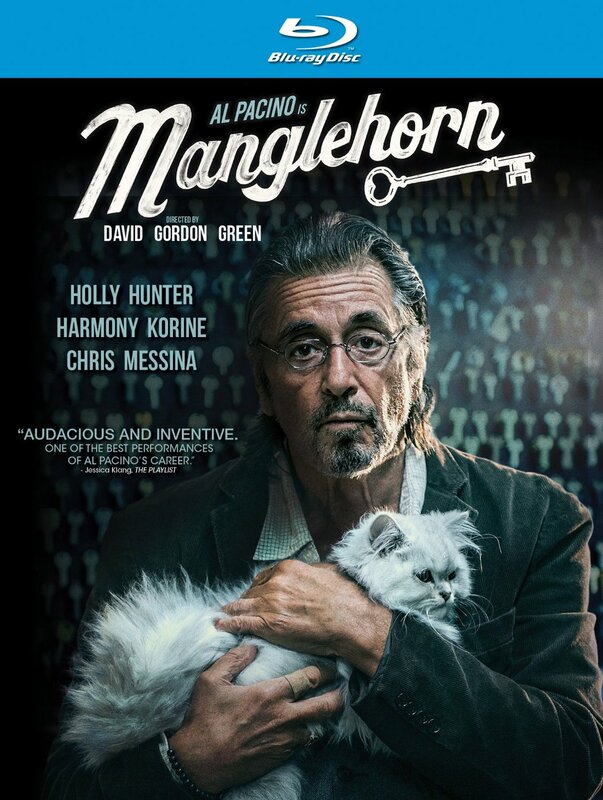 Manglehorn has a familiar plot structure, one which is not too far off from similar roles that Al Pacino has played recently (especially Danny Collins), but the sincerity in the material and his performance swept me up and allowed me to forgive any shortcomings in storytelling. Director David Gordon Green applies his type of unsentimental honesty to the familiar narrative, which is what made him a force in the world of independent cinema early in his career with films like George Washington and All the Real Girls. It is refreshing to find that both Pacino and Green returning to the type of art which showcases the talent which made them famous in the first place, and Manglehorn is easily the best thing either has done in years. In terms of the basic setup, Manglehorn is another typical narrative about a lonely older man learning how to find happiness again. Al Pacino stars as A.J. Manglehorn, a reclusive locksmith with a sick cat and few human companions. His relationship with his son (Chris Messina) is fraught and inconsistent, leaving Manglehorn with only his daily interactions and casual friendships. He only truly seems to open up to a lost love from his past named Clara, who he writes letters to regularly. When he enters into a casual friendship with a kind bank teller (Holly Hunter), Manglehorn is forced to make a decision about how he plans to live the remainder of his life. Green stylistic approach to the material seems a direct response to the familiar narrative. Even though the storyline was similar to other films, the unique way that it was presented made Manglehorn a fantastically original experience. Though his career has had highs (Pineapple Express) and lows (The Sitter) in Hollywood, it is refreshing to see him return to the type of filmmaking which gave him so much recognition in independent cinema. Pacino also giving his most nuanced performance in over a decade, with none of the big delivery we have come to expect of him in every role. Green seems to have that ability, even keeping Nicolas Cage in a place of believable human range with his last film, Joe. The special features only include a trailer, which is somewhat disappointing. Because so much of Green’s storytelling is visual, it would have been fantastic to hear his commentary about each decision. Additional insight is always welcome, especially with a filmmaker as deliberate as he has proven to be. The high definition of the Blu-ray disc is not necessary, though it doesn’t hurt the stylized approach of filmmaking. Ryan Izay. Awesome Inc. theme. Powered by Blogger.